The Metris Cargo Van and Metris Worker Cargo Van both debuted in 2016 as an alternative option to the Sprinters. The Sprinter Worker Cargo Van is an excellent full-size vehicle that can be configured a number of different ways to suit the driver’s needs. However, it’s also extremely large. For those trying to decide between the three, see how each of them stacks up against each other. Both Metris vans are about 202″ long, while the standard Sprinter is 233″ in length. The Sprinter Worker Cargo Van has a roof height at either 66.5″ or 78″, and comes available in either a 144″ or 170″ wheelbase. Metris vans have a roof height of about 75″, with a 126″ wheelbase. One of the biggest differences is the amount of space you get in the back. With the largest version of the Sprinter, buyers get up to 487 cubic feet of space. Both Metris vans provide 186 cubic feet of space. All three vans have interiors designed to mimic those of cars rather than standard vans. The controls and the steering in a Metris are easy to adapt to even if you’ve never set foot in a van before. The Sprinter vans will take more expertise to drive though. The major difference between the Metris Worker Cargo Van and the Metris Cargo Van is that the Cargo Van has more luxury features inside. With the Worker van, you essentially get the basics like navigation and climate control, but this van was made more to haul than to impress its passengers. The Metris vans have a maximum payload of about 2,500 pounds while the Sprinter achieves a whopping 3,500. A Sprinter Worker Cargo Van has a diesel engine, while Metris vans have a 2L turbocharged 4-cylinder. The towing capacity is 5,000 pounds for all three vans. 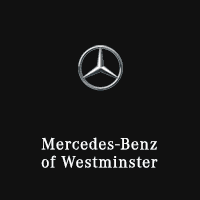 Mercedes-Benz makes the best in safety and technology available to their drivers. A load-adaptive Electronic Stability Program ensures that all vans can handle the weight without the driver having to do anything extra. Lane-keep assist and blind-spot monitoring give the driver an extra pair of eyes on the road, and automatic high beams ensure that you’re seen on the road no matter what. The Metris Cargo Van is also available with parallel parking assist, which can be helpful no matter how skilled a driver you are. Metris and Sprinter vans both give you space and safety if you’re looking for a full-size van. We recommend a Metris Cargo Van for the recreational driver who wants to take a two-month road trip without having to unpack. The Sprinter Worker and Metris Worker vans are both excellent utility vehicles for all commercial hauling needs, but the Sprinter provides more space and comes with more options than the Metris. We recommend the Sprinter Worker Cargo Van to the buyer who has very specific and extensive hauling needs.